What strange times. We’re in a tight place right now, but it is what it is. The information field is so toxic with triggered egos, paid and unpaid trolls, agencies and AI, it’s nasty to have anything to do with. But we still have to use whatever means of communication we have as long as we can. As far as understanding the “why”, as I currently see it, much of what we witness is simply Individuals working out their own stuff in the grand scheme of things. It’s essentially nothing to get too worked up about. No matter which end of the digital pitchfork we find ourselves in this mob mentality dominating the cybersphere. A very sad current state, but it will pass. When the realization that everyone is simply working out their own path fully hits, the weapons will be dropped in dumbfounded amazement. However, much of what unreconciled souls say and do boils over onto others which is where push comes to shove, hence the information battle today and the source of the conflicts we witness. How we respond and what perspective and wavelength we adopt needs careful monitoring. I do find it ironic though, how many of those supposedly fighting for truth still energetically feed the very thing they think they oppose. That’s a game played on humanity for eons and a great learning tool as well, if we can step back to see it for what it is. It’s an important hurdle to overcome, but that is happening as well as I see it. It may not seem like it with all the insanity around us, but people are seriously waking up. Others are just plain shook up and having major life crises, as are most of us, but that’s good too. A massive shift is upon us that is increasing by the day and how we respond is up to us. Whether people like it or not it’s happening. Our overall consciousness is rising despite it all, even if some have a reverse response. So many are increasingly aware, not just to the truth that we’re in an engineered society from within a plethora of world views, but a central point of debate and inquiry is regarding the very nature of reality. Just listen to the language of today and the topics being covered as opposed to just a few years ago when it began to kick in. It’s happening across every strata of society. True pioneering science and new ancient archeological and hidden historical facts continually coming to light tell the same story. The wild thing is, the energetic tide is elevating universally, so those only observing from that plane can’t even see it as the deck lifts, unconsciously defaulting to a form of collective normalcy bias for perspective. How can they tell the sea rose without perspective? The more awake and aware can observe this phenomenon more objectively, being able to calibrate from a removed awareness, if that makes sense. It’s fabulous to realize. It’s still a challenge to fully identify this phenomenon as old markers and points of reference vanish before us. It’s very wild indeed but we need to simply keep letting go. It’s similar to the fact that we’re careening through the universe but don’t even notice how everything is shifting all the time. We might notice how the planets in our solar system move and influence us, but that next level that all is changing its location as we circle the galactic core is also transpiring, which we’re generally unaware of. And where is all that moving? And what energies are we experiencing? On it unfolds in continual change, the basic state of the universe. But that’s just the external. We have hardly any idea what else is going on in the unseen realms, just glimpses and occasional insights. And that world is becoming exponentially more known by the day. An amazing time to be here. The enigmatic nature of this ongoing shift on so many levels might be freaking some people out but this is what turns so many of us on. We can call it the lifting of the veil, the apocalypse or revelation, timeline and dimensional shifting, consciousness rising, or what I call it briefly sometimes to explain those feelings we get, it’s just plain slippage in relation to whatever frame of reference we had, sometimes moments ago. Something fantastic is happening. I don’t know about a critical mass or hundredth monkey effect saving the planet, it is a factor and no doubt happening on some level. The idea that worlds are somehow splitting in some way resonates with me, but that may appear elusive and escapist to some. Consider it an inter dimensional metaphor if you like. Applying these and other ideas about our many levels of growing awareness can be challenging, but something profound is going on and nothing can be excluded from possibility. It’s no doubt a combination of amazing phenomena and we’re in the thick of it. The base point in all this remains the same – it’s all about personal transformation, first and foremost. Nothing in the external really matters in that fundamental regard but we do of course learn from it. It is a reflection or mirror of the collective to some extent, but with so much on the lower levels being artificially engineered I don’t give that level much weight. It’s just another illusion and point of observation and needs to be kept in perspective. It’s nice to see things change externally, but I’m not holding my breath nor is it my business. I just do my part. Our full on personal transformation comes first, that’s my focus. Realms of discovery and awakening await all of us that dwarf all we’ve learned and realized so far that have vast consequences. The contrast we’re experiencing in this dimension is similarly engineered by a much higher or all pervading natural creative power for our development and growth. Just as time helps us measure our experience so as to not have everything happen all at once where we wouldn’t experience the depth of this opportunity. Just as other seeming restrictions or natural and even artificial limitations, they all help us. I think it’s important to remember that. In my opinion, one of the biggest hurdles people are facing is having a negative orientation to all of this. And it’s very understandable. We’ve all seen the pitfalls of being overly dark and conspiratorial, fixating on the less savory elements of this playing field. It’s just one of the hurdles on our path, however daunting. Seeing past that into the bigger picture and the beauty of each sovereign soul at whatever stage of development they are at is so wonderfully encouraging and inspiring, in stark contrast to the more negative and judgmental mindset. Seeing through the illusory matrix doesn’t make anyone better than another. In fact, the hallmark of wisdom is humility, knowing how little we really know and respecting that growth in others. That, and a sense of humor where we don’t take ourselves and the world around us so damn seriously. When the false bookends of birth and death are kicked out and we see our experience as a continuum in the great ongoing creative process we gain amazing clarity and peace of mind and heart. Somehow we need to get back to our natural playful spontaneity without fear and wrong self consciousness, as opposed to self awareness. We sense that is our lost paradise within but clearly it’s accessible even if only in brief spurts for now as we continue to emerge. But emerge we will. Sure we live in potentially cataclysmic times. Haven’t we always? Isn’t so-called death at everyone’s door continually? Hasn’t the planet recycled periodically? And yes, technology and mad scientism are at an all time zenith, but does that really change the fundamentals? Death is our friend, like time, just as contrast and our bodies and circumstance are, with all their challenges. A doomsday mentality is crippling, as programmed and reinforced by the controlled religious teachings, scientism and the media, but we don’t need to fall for it. Many long term preppers and researchers have woken up to the fact that they simply weren’t happy nor fully living life in that negative bunker mindset and just set out to live their passions. I think there’s no better medicine for ourselves and the planet than that. Creating and exuding inspiring truth, goodness and beauty are what the world, and each of us, needs, and have a much more vast effect than we can realize. Some will say that is irresponsible. Sure, good and real information that tracks the external has its place. True information activism definitely plays a very important role and has been essential. Let’s just check the orientation and vibration of our sources, and most of all our own reactivity and emotional and spiritual state, and keep a healthy balance. This is nothing new to many folks who’ve passed through that dark gauntlet, but again this is simply growth and the true evolution of our souls. We’ve all shifted through many paradigms, thinking the next one was “it”, only to find that new one wasn’t “it” either as we kept awakening. It reminds me of the saying, “Don’t follow spiritual leaders, seek what they were seeking.” We can’t condemn ourselves for falling for the next thing either, which usually coagulates into a new belief system in whatever new garments they take on. That’s just part of our learning process. Breaking free is continual. There is no one time awakening, but dogmatic belief systems of any sort are clearly obstacles to be overcome, and they’re not always obvious. The attaching false ego makes sure to disguise that to reinforce itself. It’s not an easy field of learning here but we’re up to it. Many personal awakenings are much more profound than others, but we can’t settle down in some new paradigm. As the close out sale sign says, “Everything must go!” That’s a daily if not hourly and even continual challenge, and requires cheerful acceptance. That’s where taking things too seriously is a good yardstick to measure our spiritual health. That doesn’t mean to be flippant at all, just healthily detached at all times to the best of our abilities with an open willingness to keep learning and changing, and allowing the same in others. All while still being involved in life. Quite the paradox, but here we are. That black/white, good/evil, right/wrong dualistic polarization we’ve been fed and entrained with can either help us simply learn and discern at a practical level, or seriously derail our consciousness. Judgementalism and unloving intolerance feed off of this shallow misconception. We’ve all done it and fallen for it. It’s that tricky wrong ego feeding and defending itself again, a sort of implanted survival technique giving us the wrong idea that we’re somehow above or better than others when we judge and fight for our space. It causes separation. As we’ve all heard and is profoundly true, experiencing and knowing the Oneness of all things is paramount to our conscious awareness. This however flies in the face of everything we’ve been taught or is reinforced in this external societal matrix. Divide and conquer is a way deeper dynamic than just some political ploy for control. It’s a spiritual struggle to help us find our authenticity. Again, it all works for good. Anyway, some thoughts from the hermitage. The best advice I could give anyone is to keep going. It’s all for good and growth and things do sort out over time, even the most devastating and challenging of life experiences. But if not, that’s good too. Even if it doesn’t seem like it’s working out and appears to take forever. Just hang in there and keep going. It always sorts out no matter how long it takes. The wind’s at our back. Go with it. And just keep plodding along. We’re already there simply by keeping on in awareness. As someone wisely said, “We can’t get it wrong and it’s never done”. We have eternity – it’s “time” to get used to it. We’re just in the thick of a very intense experience, by design. That overview helps us see clearly. We’re all simply learning and evolving. Let’s enjoy it as best we can, and remember to stay loving, and keep rising. We’re all in the same boat. And it’s rising with a majestic quantum tide. A unique opportunity in human history. Let’s make the best of it. Zen Gardner is an impactful and controversial author and speaker with a piercing philosophical viewpoint. His writings have been circulated to millions and his personal story has caused no small stir amongst entrenched alternative pundits. 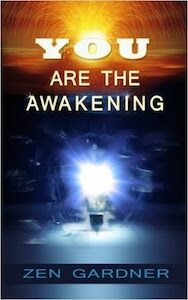 His book “You Are The Awakening” has met rave reviews and is available on Amazon.com. If you happen to be reading this article it is safe to assume that you exist. However, the fact that any of us exist does not mean that we have much understanding of our existence or how Creation is manifesting. If we explore ancient wisdom teachings and discoveries from modern sciences like physics and parapsychology we can start to gain a better understanding of life and the principles that underlie our existence. I have seen some of these principles best explained by beings or personalities who communicate through human channelers. A few sources I will cite are “Bashar,” an ET personality that speaks primarily through the channel Darryl Anka (you can also find video and audio recordings from the past with Bashar speaking through a medium named Andrew); “Abraham,” the consciousness that communicates through Esther Hicks, and the higher dimensional Pleiadian ET consciousness that comes through in the Handbook For The New Paradigm books published by George Green. Bashar claims to be the product of a human-ET hybridization project and that he exists hundreds of years in our future as part of a race of beings called Essassani, while he reports that he is part of the same oversoul or spiritual self as the man channeling him. Thus, from Darryl Anka’s perspective as a human Bashar could be seen as a future self; except Bashar educates about seeing all time as simultaneous and therefore all realities exist at once even if our focus of attention and awareness is directed toward just one particular reality in any moment. Bashar states that there are a set of basic rules or laws that are true Everywhere/Everywhen in the universe -including ALL dimensions. 3. The All is one, and the One is all. 4. What you put out is what you get back. except for the first 4 postulates, which never change. but you are existing always . So…..relax…..you’ll be around forever. hologram, likewise we are all inter-connected. Everything is truly just one totally-interconnected “thing”. The “outside” is a reflection of the “inside”. will not change unless you change first (change what you most strongly believe). 5. The only constant in the universe is change – except for the first 4 postulates, which never change. So…..might as well get used to eternally-changing Creation. Enjoy the ride! Surf the changes! With those understandings we can also consider the common idea that each person creates their own reality. This does not mean that each ego self or focus of consciousness is creating or generating all of existence. It means that the individual’s personal experience of reality (using those seemingly external props) is solely the creation of that individual – you may not control everything that exists beyond yourself but you do control the story or meaning you apply to reality as viewed from your limited perspective (even though we may be conditioned to give the meaning to reality that is projected or suggested by other people around us rather than fully, consciously exercising the power of our own consciousness). Therefore you create your own personal reality. Also, as you do this you are having some influence upon the field of Creation itself and your waves of vibration and consciousness are having some impact on the universal or collective field of reality. This may seem quite subtle in the physical realm where the perceived constructs of time and space operate and the frequencies of vibration have been slowed down so much that we don’t see the relationship between our consciousness and external reality. However, physics experiments here in physical reality have shown how the observer influences what is being observed, and in the non-physical realms we can instantly visit or create a reality just by using our consciousness to do so, as recognized by those who have experienced astral projection (out of body experiences) or lucid dreaming. If we review all the experiences reported by people who have had NDEs (near-death experiences), OOBEs (out-of-body experiences), and memories of other lifetimes or the between lives realm, then we see extensive evidence that our consciousness is indeed eternal and not a product of or confined to the physical life form. In those states as well as using remote viewing or other forms of psychic clairvoyance people often do perceive “future” realities that do manifest at a subsequent point in the linear time sequence. If people perceive those “future” realities it implies that they already exist in some greater field of information or intelligence, so they must co-exist with our present. People who have their consciousness guided into a spiritual realm during regression sessions often report meeting with spiritual guides or beings who help them select and plan their Earthly incarnations – as though those lifetimes in a sense already exist in some form, ready to be played out or experienced by the spirits involved. The books by the late psychologist Dr. Michael Newton give detailed accounts of those sessions, and as a regression therapist myself I have encountered the same type of phenomena from clients of mine. Those clients usually haven’t read Newton’s books and my verbal guidance in a session is provided in a cautious way to avoid leading or influencing people and to instead keep them open to whatever their own higher consciousness or inner awareness wishes to show them. Regarding the holographic principle, this theme is found in many near death experiences where people feel or see themselves as united with the Source Energy or Light and perceive that all beings are merely facets or expressions of that one Supreme Being. Users of psychedelic drugs and plant medicines have also reported this type of experience, where they sense or perceive the Oneness of all life and the interconnectedness of everything while the ordinary perceptual filtering programs of the brain hemispheres are disengaged by the activity of the chemicals. 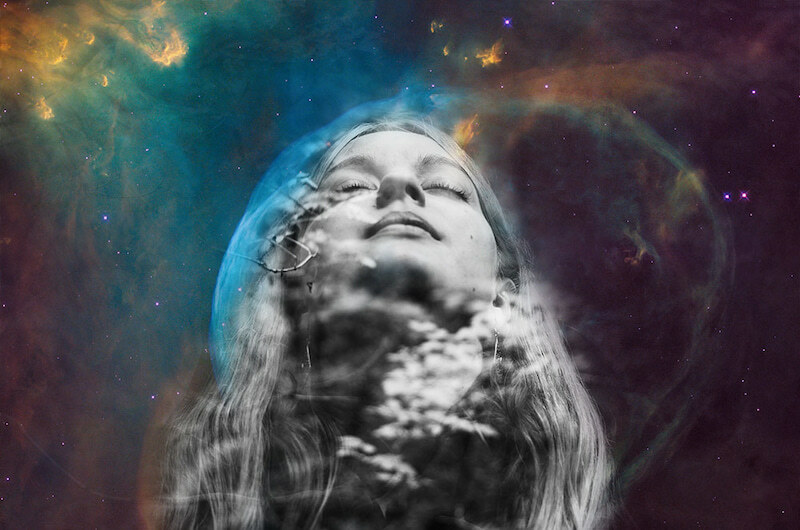 Psychedelic drugs may foster these effects by stimulating the pineal gland, which enhances the connection between the brain hemispheres so that the intuitive, wholeness oriented aspect of consciousness becomes more accessible while one is still in a physically awake state. This idea of the holographic principle has also gained traction among physicists since it explains a variety of phenomena that would otherwise be difficult to account for. Michael Talbot’s book The Holographic Universe, published in the early 1990s, introduced this concept to the general public using a number of examples showing how interconnected our consciousness is. “In order for you to conceptualize a higher dimensional experience, it is necessary that you have some understanding of the experience of it from the creational perspective. Holographic interaction is basic to this understanding. Current methodology to produce this phenomenon involves a beam of light focused through a transparency that produces a floating dimensional replica. In an existing holograph (you) conceive a thought of a desire to be reproduced in like holographic mode. This thought thinking (you) focuses by enlarging this thought with details that further define the holographic desire and increases the energy of the beam like thought with emotions of what the experience of enjoying this new holograph will be like therefore empowering it to come into form. The idea that everything in Creation is constantly changing coincides with the idea that existence implies movement and vibration. Without movement from the unmanifest potential there is no individuality or differentiation. It is difference in vibrational frequency and wavelength that distinguish things from one another, that generates realities. Bashar’s concept of what you put out is what you get back is a way of expressing the law of attraction, using a mirror metaphor. If reality reflects our thoughts and beliefs then we have the power to transform reality by shifting our thoughts and beliefs. The limitation on this is that our individuated self is not the totality of consciousness and not the biggest thinking force in Creation – there are aspects or levels of self beyond our level of awareness that are shaping reality on a more fundamental level than our conscious human persona can. Thus, when seeking to work in harmony with the law of attraction you can intend to do so in harmony with your higher self and with the highest or most fundamental Creative Force. Consider that life synchronistically provides what we need, whether or not that is what we as a personality currently want or desire. The Handbook For The New Paradigm presents the four principles of attraction, intention, allowance, and balance. These principles will likely sound familiar to followers of the Abraham-Hicks teachings, As Abraham speaks of the law of attraction as the fundamental principle of Creation. Also, one of the main Abraham books is called “The Amazing Power of Deliberate Intent: Living the Art of Allowing.” Abraham describes itself as a group consciousness from the non-physical realm using Esther Hicks to communicate with those hearing Abraham speak through her. Attraction is described by these spiritual teachers as the principle of like energy attracting like energy – we draw to us or have reflected back to us what we are putting out with our own vibration and consciousness. Intention is really whatever we desire or envision to create or manifest. We are using intention unconsciously in every moment, while we are applying our intention consciously or deliberately less frequently. Allowance is about surrendering control to the Creative Force itself and letting life unfold – rather than the mind seeking to control the external world to make it conform to one’s intentions. That mental attachment to control over the external world actually creates resistance that may lead you away from experiencing the manifestation of what you desire. It is also helpful to realize that our lives exist within a Universe that is being manifested by “higher” or “greater” intentions than our individual personality self may have – thus when our intentions align with those “higher” intentions things will likely manifest more easily than if we have intentions that conflict with those higher intents or purposes. Finally, the principle of balance is the ancient, timeless idea of polarities and their union, such as the yin-yang concept in Taoism. Creation in its wholeness and essence always maintains balance, so any aspect that is moving in a direction of polarized expression is generating the necessity for the expression of the opposite polarity force to be energized. The more balanced we become the greater our capacity to experience unity with the Source. The Source allows all experiences and all polarities to exist and be explored – it has no need or desire to not allow the Infinite exploration of potential. If we wish to truly be “God-like” we need to master the principle of allowing and not feel compelled to control other beings. The Being with ultimate power unconditionally shares that power with all of its fragments of consciousness. Imagine how different our society would be if we could reflect that consciousness in our human interactions. The basic laws or ground rules of existence provide perfect feedback mechanisms for beings to vibrationally venture as “far” away from the Source state of being as they desire to. Since they are never truly separate from the Source they can never truly be lost and they will begin their journey back to awareness of the Oneness when they are ready to – as their existence is eternal and there is no time limit involved. Are we ready to ascend, to bring our focus of awareness to higher dimensions or layers of existence? Jed’s book Consciousness, Creation, And Existence: A Guide To The Grand Adventure is available from Amazon.com and other book sellers. The new age movement has been talking about indigo children for years now. The thing is, most of these children are now adults! Could you be an indigo adult? Here are 10 potential signs. If you always asked “why?” as a child, and still do so as an adult, this likely means you’re an indigo. Even though you’re supposedly “all grown up,” you still have a nagging feeling that you don’t know what you want to be when you grow up. You know you have an important mission, but still can’t figure out what it is. If you find that electronic appliances go haywire around you, it’s a common indigo trait. Streetlights that flicker or go out as you walk by are another indication. 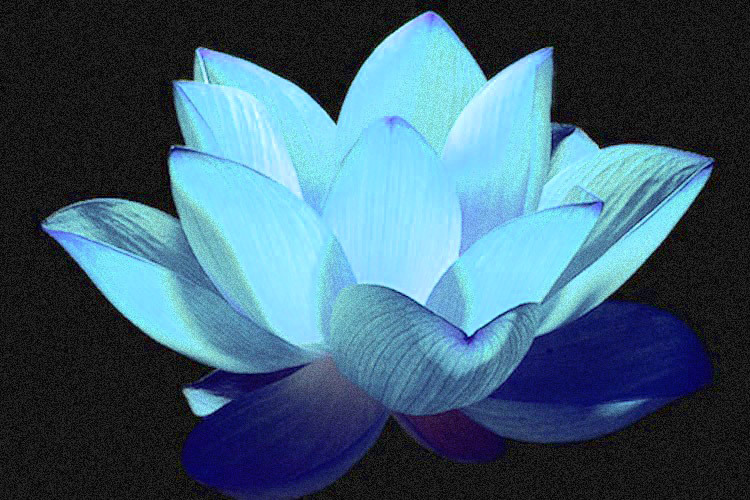 Whether you saw ghosts, heard spirits or had any other related experiences as a child, you are likely indigo—even if you no longer have these encounters as an adult. If the house with a white picket fence in suburbia doesn’t cut it for you, chances are you’re an indigo adult. Do you have deep-seated rage buried somewhere within? Although you may never act on it, you know it’s there. Whether you’ve encountered it all your life or just as an adult, battling depression on a regular basis is a cross that many indigo adults bear. Are you subject to moodiness? You may feel happy and loving one moment, then distant the next. Indigo adults often ride an emotional roller coaster. They also take on the emotions of others. If things like “big brother” and invasions of privacy anger you, this is another indigo trait. Indigos have a great need for personal sovereignty. Man, are we ever being directed! Moved around, sifted and sorted, purged and purified, as much as we’ll allow. What an amazing time! We need each other, and amazingly we’re finding each other. 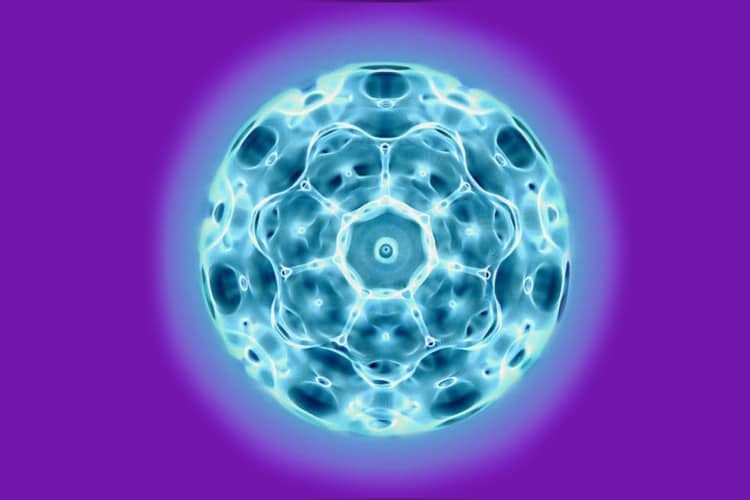 Cymatics is such a fascinating field, how resonant vibration literally moves molecules into beautiful geometric patterns. Conversely, disharmonious energy makes for chaotic and literally ugly patterns, as proven by the late Masaru Emoto’s research with intention and water molecules. But the implications on human alignment and behavior are immense. It’s all about energy, vibration, resonance. How particles and waves work in the medium of this physical universe, even in the context of quantum physics, is absolutely fascinating. So called science is on the verge of truly integrating metaphysics with physics, as some already have. The implications and possible repercussions on the collective are enormous. Again, I don’t know about any “tipping point” or “event horizon” in either societal progress or conscious awakening as I’ve said recently. Never mind the 100th monkey effect nor the so-called “singularity”, a thoroughly hijacked concept by the anti-human transhumanists. I think these all are valid in a deeply true sense but the confusion factor is big. We don’t know that realm well enough yet. Such presuppositions are arrogant. By definition, we’re operating from a handicapped zone of third dimensional conceptualization of realms beyond our programmed capabilities. But – our other dimensional senses are awakening. Hence the split into literal worlds of understanding, realization and even existence, as I see it. 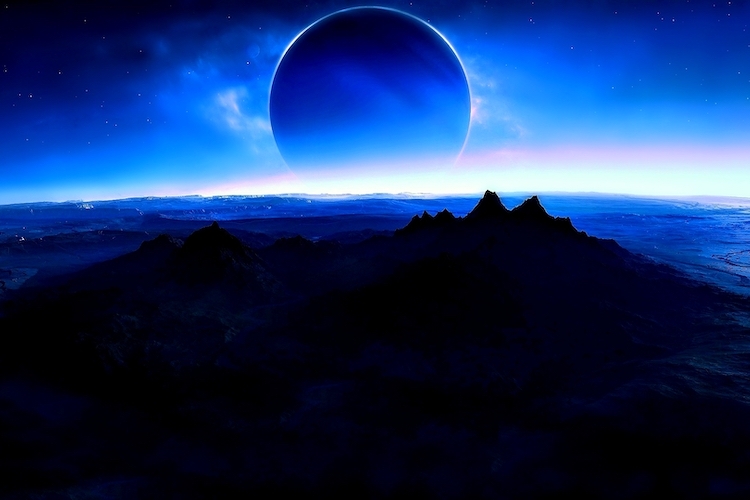 Those worlds do not reconcile, with or for the lower dimensional viewpoint. Hence the paradox plague on human thinking. OK by me. I like the disruption. But I have seriously digressed…. My point here is that we’re experiencing not just a shake up, but an inter-active cymatic one. We’re in the vibrational phase where particles of all sorts and even living souls move around to where they belong, where like are attracted to like, and are forming beautiful mosaics of powerful connections. It’s fabulous to watch. I know I see it in my own life. I and many others have seen it for some time with sometimes major shifts, but it’s upon us. Are you being drawn to like minded souls, while others are falling away? Never mind shifts in your perception? This will continue, and even accelerate. Beautiful clusters are forming, as well as ugly ones, as featured in the “news” as if that’s the norm. Don’t focus on those. They’re meant to cause a reaction and join in the lower vibrational astral. The creative is what’s truly happening. This phenomenon is the nature of Universal expansion – shake, quake, awake and reassemble – break up the old and false attachments to find the new. It always has been that way, at different levels of expansion, but it appears we’re in a highly accelerated phase right now. The point is, we’re finding each other! Weird as the process is as we’re concurrently going through major personal changes, heart resonance is taking the forefront, where it belongs. It’s totally contrary to all previous programming, even up to and through recent years. It’s totally understandable. Let’s give ourselves a break. It’s fluid, changing, and through that truth reveals itself. It’s in the letting go – of self concepts, identity, or attaching to wanted outcomes, they all play into this – and it’s good!! Let it happen, joyfully! This just struck me as profound today. Let’s move with the flow toward our true vibration and not be afraid of change and move heartily into it. The shift is upon us.